Child abuse is present in nearly every community, and Galveston County is no exception. According to the Texas Department of Family and Protective Services (DFPS), 149 Galveston County children were removed from their homes during 2018, and a total of 2,162 investigations took place. Child maltreatment can take many forms, not all of which are easily identified. While many people are familiar with physical abuse/neglect, sexual abuse/trafficking and emotional abuse, other types of abuse aren’t as well known. Medical neglect, neglectful supervision and refusal to accept parenting responsibilities are less widely recognized, but still common forms of child maltreatment. In fact, in Galveston County in 2018, DFPS reports 568 cases of confirmed neglectful supervision, representing the highest number of confirmed cases of any category. Last year’s statistics also showed confirmed cases of physical and sexual abuse at 122 and 69, respectively. • Wetting or soiling accidents not related to toilet training. Children who have been victims of abuse or neglect are at increased risk for emotional health concerns such as anxiety, depression and post-traumatic stress disorder. Once a child has been identified as being a survivor of abuse/neglect, it’s important for them to receive help from mental health professionals to begin the recovery process. Child abuse and neglect isn’t a family problem — it’s a community problem. What does this mean for us all? It takes all of us working together to address this problem. How can you be part of the solution? 1. Keep a watchful eye out for our youngest and most vulnerable citizens of Galveston County — the future of our community and our most valuable resources. 2. Educate yourself and those around you about the signs and symptoms of child abuse and neglect, and the actions to take if you are concerned that a child may need help. 4. Support prevention efforts by sharing www.helpandhope.org. 5. Commit to join the Family Service Center of Galveston County today in working together to create a safe, healthy Galveston County. If you or someone you know could benefit from counseling and support regarding current or past abuse, we can help. Call 409-762-8636 to find out about available services. 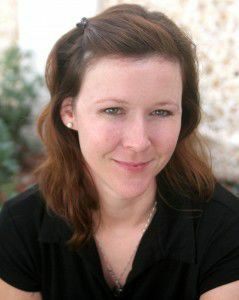 Melissa Dague is the mental and behavioral health clinical director at the Family Service Center of Galveston County.